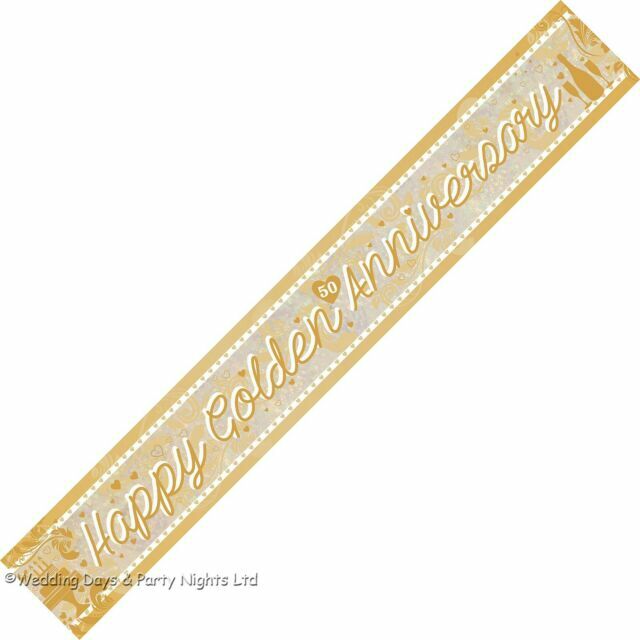 Sparkly holographic 'Happy Golden Anniversary' party banner, length 2.7m/9 ft. Can be cut into 3 smaller 3ft banners if preferred. Great price for a quality item. Cheers.